How Competitive are Eastern European countries on the global scale? When a company begins an outsourcing project and a decision is made to source required skills abroad, the first question that usually arises is where in the world that place should be. If the decisions in the company are made in a methodical way, giving careful consideration to various options and their numerical assessment and comparison, it is likely that their outsourcing project team will pick up the latest copy of the Global Competitiveness Report, published by the World Economic Forum. The report shows where countries stand in respect to their competitiveness and provide a wealth of other macroeconomic data, covering amongst others education, efficiency of labour market, capacity for innovation as well as main issues of doing business in each country, helping to answer a question whether or not a country has advantages in the global outsourcing industry. Here we provide a summary of the Eastern European countries and their competitiveness related data and offer our opinion on their suitability as a nearshore outsourcing destination. Stage 1: The country competes primarily on unskilled labour and natural resources. The Republic of Moldova is included in this category along with India. This signifies low wages but also low productivity. Transition to stage 2: Armenia, Georgia and Ukraine are included in this stage, demonstrating a shift from unskilled to a more educated workforce. Stage 2: Productivity increases and wages are rising, the country becomes more efficient. Albania, Bosnia and Herzegovina, Bulgaria, Macedonia, Montenegro, Romania, Russia, Serbia made it to this stage along with China. Transition to stage 3: Croatia, Estonia, Hungary, Latvia, Lithuania, Poland, Slovak Republic are on the way to joining the developed economies in Stage 3. Stage 3: Innovation-driven stage where the countries compete with new and unique products to be able to sustain higher wages and cost of living. The Eastern European countries which made it to this stage include the Czech Republic and Slovenia. This analysis helps identify countries that are more likely to offer cost advantages in an outsourcing engagement (countries in stages 1 to 2), and which may not be as financially attractive, such as the Czech Republic and Slovenia. At the same time, toplevel analysis is not sufficient to evaluate how educated the population is, or intricacies of doing business in those countries. This is why a more detailed analysis of each Eastern European country is provided below in ascending order of their Global Competitiveness Index ranking in 2010-2011. A relatively small country with only 3.8 million people, Bosnia and Herzegovina generated only $4,300 GDP per capita in 2009. Nevertheless, the quality of math and science education put it on 36th position in the overall ranking, while total tax rate pushes it even higher to the 23rd position. The simplicity of hiring and firing practices also stands out. Access to financing, tax rates, government bureaucracy and corruption are the most problematic factors for doing business in Bosnia and Herzegovina. Yet it still appears as a niche location for fairly small size outsourcing projects as the size of its population limits outsourcing industry growth. Armenian GDP per capita stands at 2,700 US dollars, indicating a poor population. Despite showing relatively poor results across higher education and training indicators, Armenia stands out due its low business cost associated to crime and violence and labour market efficiency. For example, it is only #33 in the rating when it comes to hiring and firing practices, and #21 for redundancy cost. Corruption, tax regulation, access to financing and inefficient government bureaucracy complicate business operations. Based on the standards of education, Armenia offers only limited opportunities for nearshore outsourcing. A high level of corruption, inefficient government bureaucracy and policy instability weigh the country ranking down making business operations more difficult. Yet with a population of 10 million people and GDP per capita of only 5,800 US dollars, above average quality of math and science education and tertiary education enrolment rates, Serbia comes out as an attractive nearshore outsourcing location. Additional government incentives for export services industry, simplicity of starting a business and above average taxation all suggest that the government invests in building on the country’s strengths to compete in the global outsourcing marketplace. A small and very poor country with a population of 3.6 million people and GDP per capita of only 1500 US dollars, Moldova suffers from policy instability, access to financing, corruption and inefficient government bureaucracy. The only outstanding criteria for the country include low tax rate, ease of establishing a business as well as low level of inflation and government debt. Higher education, labour market and innovation indicators range from mediocre to poor, and indicating a lack of opportunities for nearshore outsourcing industry. Georgia dropped three places since the last rating was created. Its main impediments to doing business beside access to financing are policy instability and an inadequately educated workforce as well as poor work ethics which are obvious deterrents of nearshore outsourcing industry growth. The quality of math and science education put Georgia on an even lower position of 104 in the GCI ranking and the capacity for innovation and quality of scientific research institutions to even lower levels of #112 and #119 respectively. On the bright side, the government policies are transparent and fair and bribery is surprisingly uncommon (position #42 in the ranking). A drop in competitiveness from 82nd to 89th place was caused by the Ukraine’s poor macroeconomic stability. Besides, policy instability, corruption and access to financing are amongst main impediments of doing business in Ukraine, although its capacity for innovation puts the country on position #37 and the quality of math and science education ranks at #42. A well-educated population, flexible and efficient labour markets and large market size are considered the country’s competitive strengths and contribute to Ukraine’s attractiveness as a nearshore outsourcing destination. The country performed better than average in the field of math and science education, but at the same time, the rate of enrolment in tertiary education is low. Starting a business in Albania is very simple and it scored 9th for this in this ranking. Hiring and firing practices as well as pay and productivity put the country on the 21st and 16th place respectively. The most problematic factors for doing business include access to financing, corruption, tax regulations and inefficient government bureaucracy. This former republic of Yugoslavia has a small population of 2 million which is characterised by relative poorness, as GDP per capita is only 4,500 US dollars. With a somewhat average level of higher education and a low level of FDI, the country stands out with a small level of government debt, excellent investor protection (position #20 in ranking) and fairly flexible labour markets. Given its small size, the country is not likely to rely on the outsourcing industry as its main source of export, yet opportunities for small and medium companies exist to take advantage of the few but available skills at relatively low cost. Based on the quality of education, relatively low cost of crime and violence to business, utility patents per million population and total tax rate, the country stands out as an attractive outsourcing destination. At the same time, already relatively high GDP per capita of 14.2 thousand US dollars indicates higher wages and cost of living and a fairly small labour pool (population of only 4.4 million) which may indicate that cost savings for outsourcing to Croatia are quite limited. With GDP per capita reaching only 6.2 thousand US dollars, Bulgaria is still a relatively poor country, yet it is above average based on the rate of enrolment in tertiary education and it has low government debt, indicating a sound macroeconomic environment. It has an efficient labour market and very good internet connectivity. It is on the 31st place in the ranking based on the utility patents per million of population. The same factors as for many other Eastern European countries create difficulties for doing business in Bulgaria, namely corruption, access to financing and inefficient government bureaucracy. Despite efficient labour markets, low-cost crime to business and high enrolment in tertiary education, the level of foreign direct investment in Latvia is still very low, putting the country on place #94. The quality of math and science education is still average as well as the availability of scientists and engineers. A third-world country’s level brain drain (ranked at #93) made us wonder if all remaining scientists and engineers left across the border to Estonia in search of better work prospects. Tax regulation and rates, government bureaucracy and lack of financing are listed as the main issues in doing business in Latvia and a limited pool of resources based on a population of 2.2 million demonstrate only limited attractiveness of the country as a nearshore outsourcing destination. Despite being relatively low in the overall ranking of the GCI, the Romanian rate of enrolment in tertiary education puts it on the #22 position, while the quality of math and science education is still very strong. Added strength of investor protection as well as the high level of pay and productivity, simple procedures required to start a business and a large population make Romania an attractive nearshore outsourcing location. At the same time, inadequate supply of infrastructure, access to financing and inefficient government bureaucracy complicate business operations. Russia commands superior tertiary education enrolment rates which put the country on the 12th place in the ranking. Its capacity for innovation and company spending on R&D, as well as utility patents per million population, are also high. Additionally, improvement in infrastructure, education, technological readiness are positive shifts in Russia’s competitiveness. Restrictions on trade and foreign ownership are what pulls the country down in the rating, including very weak institutions, insufficient protection of property rights and weak corporate governance standards. Corruption is mentioned as the number one restrictive factor in doing business in Russia. Despite increasing salaries and cost of living, the country’s GDP per capita is still 8,700 US dollars and given the large pool of resources, Russia maintains its leading position as a nearshore outsourcing destination. Whilst its next door neighbour the Czech Republic made it to the list of developed economies, the Slovak Republic lags behind with government bureaucracy, corruption and restrictive labour regulations impeding its competitiveness. Strength of investor protection lags way behind, putting the Slovak Republic on the 93rd position in the ranking. Nevertheless, the country boasts a high GDP per capita of 16,300 US dollars, excellent education standards, an efficient labour market and superior ranking in the area of FDI and technology transfers. Given a relatively small labour pool of 5.4 million and high GDP per capita, the country appears somewhat less attractive as a nearshore outsourcing destination and offers only limited skilled resources and average cost savings. Hungary is marked by a higher than average quality of math and science education, the level of foreign direct investment and technology transfer, quality of scientific research institutions as well as the availability of scientists and engineers. The drawbacks are burdensome tax rates and regulations, access to financing and still present corruption. Yet with GDP per capita of 11,300 US dollars and a fairly large population of 10 million people, it still has a suitable environment for growth and development of the outsourcing industry. The smallest amongst the reviewed Eastern European countries, Montenegro has only 0.6 million people with average GDP per capita of 7,300 US dollars. Montenegro’s problem areas include inadequate infrastructure, access to financing and inefficient government bureaucracy. At the same time, it rates above average in the area of higher education and innovation with outstanding government support of advanced tech products and quality of scientific research institutions. Based on this analysis, Montenegro’s profile indicates all preconditions for a successful nearshore outsourcing industry although its very small pool of resources limits its growth. Excellent education standards and enrollment rates, high level of collaboration between universities and industry, low cost of crime to business and strength of auditing and reporting standards mark Lithuania’s straight path to stage 3 of global competitiveness. Yet its labour market is relatively inefficient with complex hiring and firing practices, high rigidity of employment and still significant brain drain (rank #110). As everywhere in Eastern Europe, government bureaucracy, access to financing and tax regulations are named as main problematic factors for doing business. Another country to make it to stage 3 in country development, Slovenia’s 2 million population enjoy a high level of productivity, GDP per capita of 24,400 US dollars and excellent education standards as well as a capacity for innovation. The country is a member of the Euro area, offering a high level of investor and intellectual property protection, yet its labour market remains inefficient and FDI lags behind at #101 ranking position. Based on these factors, we do not see Slovenia as a nearshore outsourcing destination but rather expect its businesses to go outside of the country to former republics of Yugoslavia in search of more affordable outsourcing services. The only European economy to register positive growth in 2009, Poland has large market size and a high level of educational standards as well as a high rate of enrollment in tertiary education. At the same time, the transport infrastructure, especially roads, requires significant improvement. Tax regulations, inefficient government bureaucracy and restrictive labour regulations cause difficulties in doing business in Poland, yet the country commands a high level of FDI and technology transfer. With a large population of 38 million people and an average level of GDP per capita of 11,300 US dollars, Poland stands out as an attractive nearshore outsourcing destination as long as air travel is a preferred form of transport. The Czech Republic has a superior education system, high tertiary education enrollment rates, excellent quality of math and science education and a large number of utility patents per million population, not to mention the capacity for innovation, spending on R&D and university-industry collaboration. It also has an efficient labour market although being in stage 3 of economic development with GDP per capita of 18,600 US dollars, the cost savings in outsourcing engagements are quite limited. This reflects the current market situation where, according to our interviews with recruitment firms, the salaries for junior software developers reached $2,000 and the recruitment of a few dozen programmers in Prague can take over a year. Corruption, inefficient government bureaucracy and access to financing are listed as main problems for doing business in the Czech Republic. Estonia is the leading Eastern European country in the GCI rating with high-quality education and scientific research institutions. Besides, transparency of government policy-making, low cost of crime to business, strength of auditing and reporting standards as well as judicial independence brings the country into the realm of developed nations. At the same time, with a high GDP per capita of 14,300 US dollars and a tiny population of only 1.3 million, it is no wonder that one of the problematic factors of doing business after access to financing is the inadequately educated workforce, which is probably a sign of a significant shortage of labour supply given the demands imposed, amongst others, by foreign companies setting up operations in Estonia. Download the copy of the World Competitiveness Report published by World Economic Forum here. 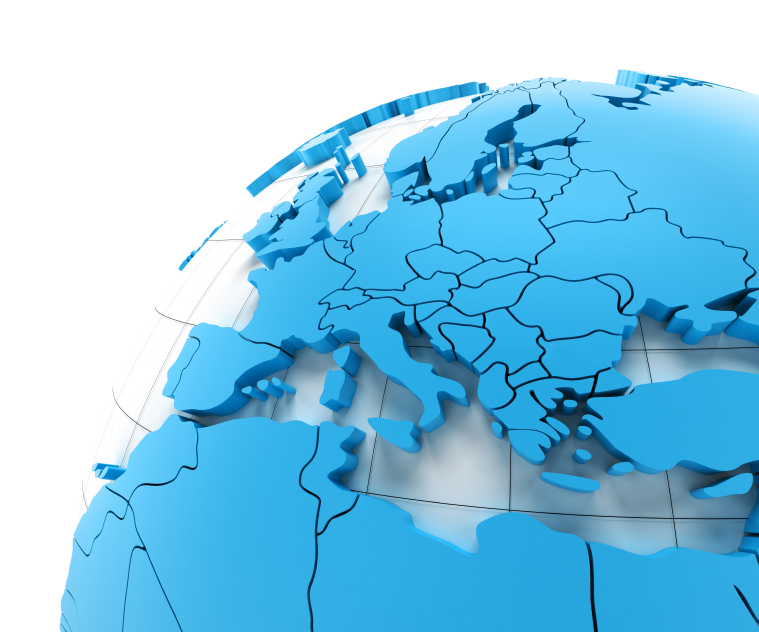 Contact us if you need help with outsourcing or opening your R&D unit in Serbia or one of the other CEE countries.